Where Can I Place my System? Johnson Air-Rotation HVAC Systems help the Georgia Bulldogs beat the heat and then their opponents! 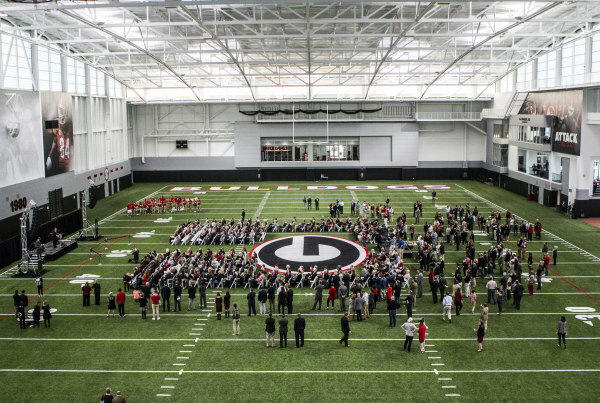 The Georgia Bulldogs’ football team has been taking advantage of their new indoor practice facility this summer and into the fall as temperatures in the south have remained high. Johnson Air-Rotation helped them escape those scorching temperatures and ensured productive practices. Now that they don’t have to practice outdoors every single day, the team is less exhausted on important game days, which means more wins for the Georgia Bulldogs! Read more about their success and how they are beating the heat at https://www.dawgnation.com/football/indoor-facility-beat-heat-uga-beat-opponents.